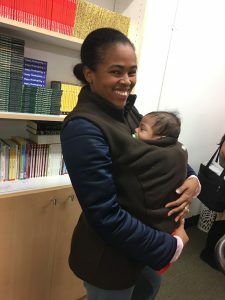 El Nido provides a place of hope and community in Washington Heights for families and their young children (ages 0-3 years) who are at or below the federal poverty line. We seek to nurture their minds, bodies, and spirits through personalized support, community connections, and financial assistance. El Nido is a faith-based outreach program of Christ Church. 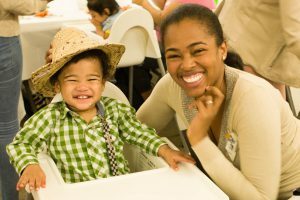 One of our pioneer moms with her baby boy at the beginning of her journey at El Nido (left) and 2 years later enjoying a snack after reading one of the Reading Corner books (right).